FREE spectator parking will be available at the parking lot of Enfield Adult Education Center (formerly Fermi High School) at 124 North Maple Street, Enfield, CT. The free shuttle bus will provide spectators a worry free trip to and from the Powder Mill Barn on race day. Parking at Powder Mill Barn will be reserved for race participants. The bus will run from 11:00 am until about one half hour after the end of the race. Footage from the race will be played on large screens in the barn immediately after the race. Hot food, refreshments and bathroom facilities will be available at the barn. Please assist by bringing non-perishable food items for the Enfield Food Shelf. There will be a canoe in the barn for donation drop-offs. Alternate viewing spots are available via trails along the river between Quality Ave in Somers and Powder Hollow State Park in Hazardville. 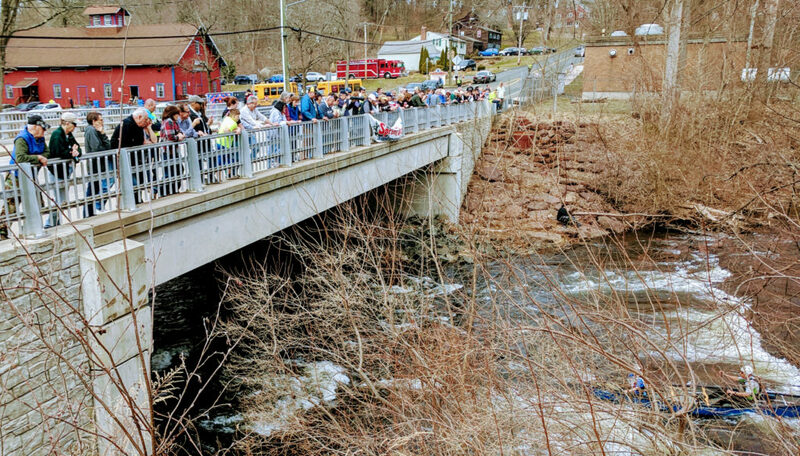 Most spectators choose to watch the race finish at the South Maple Bridge. 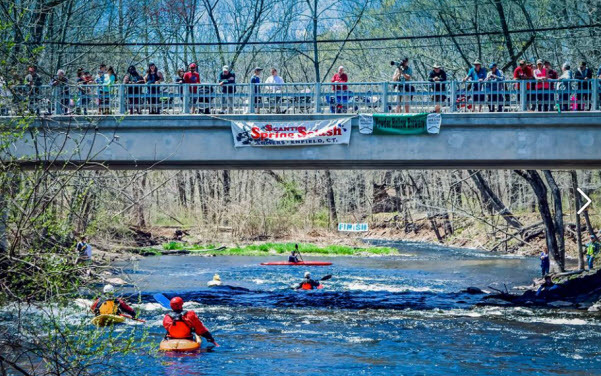 Another popular spot, is Stocker’s Rip – accessible via the access road in front of race sponsor Powder Hollow Brewing at 504 Hazard Avenue, Enfield, CT. Parking will be available across from the brewery, walk down the access road in front of the brewery to get to Stocker’s Rip. You will also be able to walk down Water Street behind the brewery to view the new rapid where Springborn dam used to be.